Want to do something a little different this year? Why not make a game out of your next holiday get-together with one of these holiday party game suggestions? You may be familiar with them, but they continue to entertain year after year! This popular holiday party game has many different variations, but the goal of the game is to entertain. The name of the game comes from the term “white elephant”, which represents something whose maintenance costs exceeds its usefulness. The point is to wrap something that is valuable but for which you have no use. Each guest brings a gift that is typically inexpensive or humorous. It can even be an item you wish to re-gift. Have each guest draw a number from a bag to determine the order of play. Each person takes a turn choosing a gift. The first person opens the gift and shows it to everyone. The next person can “steal” the gift or open a new gift. If a person’s gift is stolen, the empty-handed person unwraps another unopened gift and play continues with the next person. Once all the gifts are opened, the game is over and the exchanging stops. 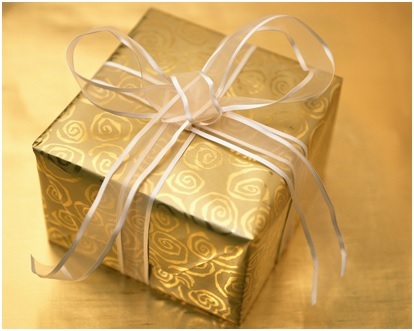 If you have a large group, you may want to establish that a gift can only be “stolen” a maximum of three times. Another variation is to have the gifts remain wrapped until the very end. With this type of play, guests can only guess what the gifts are and will have to select based on the wrapping and the personality of the person who brought the gift. This game plays out similar to the white elephant game, but each guest brings an ornament. If you want to make sure each person’s ornament is appreciated, the host can number each ornament at random. Then, each guest pulls a number out of a bag and they receive the corresponding ornament. 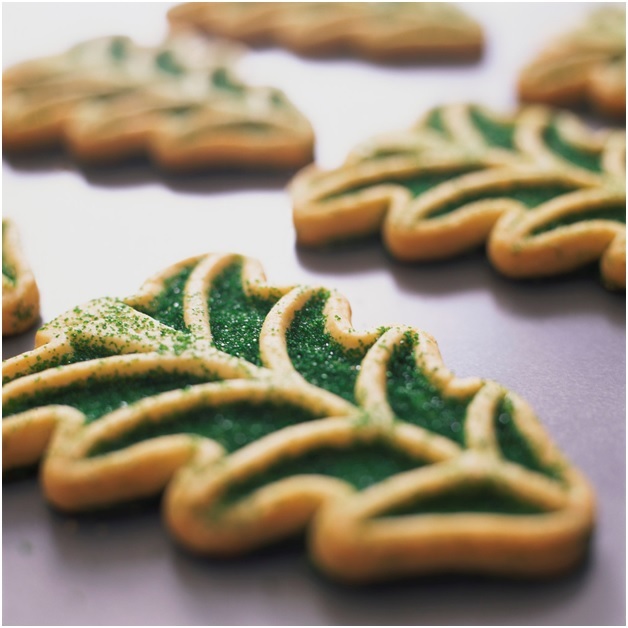 If you have a group of friends who enjoy holiday baking, ask each one to bring a large batch of one type of cookie. Provide tins or storage bags for guests to collect a few of each kind to take home. You can also ask participants to bring copies of their recipes or tell a story about the cookie and why it’s significant to them during the holidays. Looking for a new type of cookies to add to your collection this year? Visit www.marthastewart.com/favorite-cookie-recipes for over 60 of Martha Stewart’s favorite cookie recipes which are sure to impress your guests! Do you have a group of friends that love board games or come to your weekly game night? Have a game exchange where everyone brings a new game (you can set a price limit as some games can be much more than others). During the party, play as many games of the new games as you have time for. At the end of the night, draw everyone’s name at random and have each person then pick a game to take home in that order. As the host, don’t forget to have some refreshments to go along with these games such as eggnog, hot cider or punch! Here are some event planning tips to make your News Year’s Eve a memorable one! Budget. Cash can be tight around the holidays so set a budget. If you’re planning something for New Year’s Eve, use 60% for drinks, 30% for food and 10% for décor. If you’re planning a New Year’s Day Brunch, use 60% for food, 30% for drinks and 10% for décor. Music. Whether your guests are ringing in the New Year or chatting about last night’s events over mimosas, a fabulous playlist can really keep the group’s energy going. Glitter! Glitter is making a comeback and is an inexpensive way to add sparkle to your décor. Pick up a can of spray glitter at your local craft store and add some sparkle to just about anything. Need a last minute centerpiece? 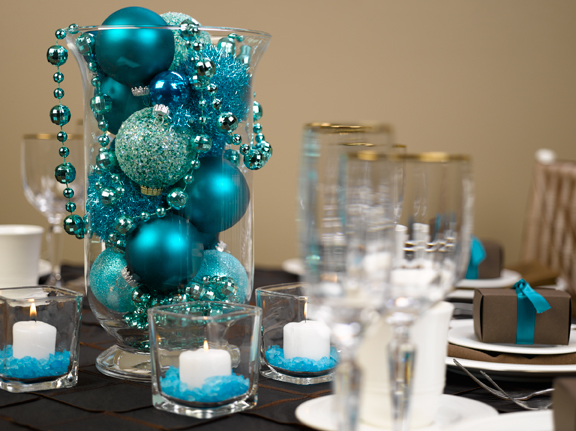 Spray ornament balls with glitter and put them in a large vase or piled up on a cake plate in the center of the table. Cheers! Hire a bartender. This will really make your event feel special and will take the stress of having to make drinks and tend bar off of you. Make sure guests have a designated driver, but have a few numbers of cab companies and some cash on hand in case you need to help someone get home safely. Want to do something unique this year to celebrate the New Year? Why not hold a New Year’s Day Brunch for your friends and family? It’s the perfect way to reminisce over the previous night (and year) and will be great timing for those who stayed out late celebrating and plan on sleeping in! 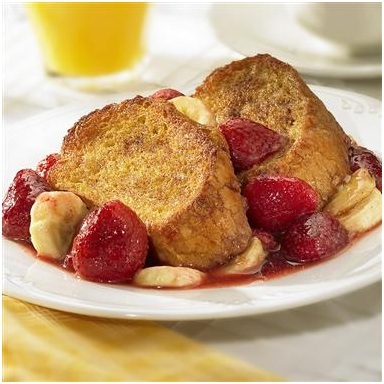 Here’s a great French toast recipe that can be made the day before! Mix 5 eggs (beaten), 3/4 cup milk, 1 tbsp vanilla and 1/4 tsp baking powder. Pour mixture over 1 loaf of Italian bread (cut into 8 1-inch thick slices) to soak; turn to coat well. Cover. Refrigerate 4 hours or overnight. Preheat oven to 450°F. Mix 16 oz. frozen strawberries, 4 sliced bananas and 1 cup granulated sugar in 13×9-inch baking dish. Top with soaked bread slices. Sprinkle with cinnamon sugar. Bake 20 to 25 minutes or until golden brown. Let stand 5 minutes before serving.